Rimhak Ree (whose name is sometimes given as Im-hak Ree) was born in Hamhung which is today the second largest city in North Korea but, when Ree was born it was, of course, a city in an undivided Korea. However, Korea at this time was not an independent country but was under Japanese rule following its official annexation in 1910. He was educated at first at the elementary school, Hamhung No 1 Public Ordinary School, up to the age of eleven when, on 1 April 1934, he entered Hamhung Public High School. This was a period when there was considerable active opposition to Japanese rule and his schooling was disrupted on many occasions when police and military police were sent into the classrooms to silence dissent. Ree graduated from the school in 1939 and began his university studies. Ree entered Keijo Imperial University in 1939 and there he studied mathematics and physics in the Physics Department. Keijo is now known as Seoul and the Imperial University had been founded there in 1924. As Korea was under Japanese rule at this time, the university was Japanese but unlike Imperial universities in Japan, the head of Keijo Imperial University was the Governor-General of Korea (who was, of course, an administrator for the Japanese government). Ree graduated in 1944 from Keijo University in 1944 with a degree in physics (the university did not offer degrees in mathematics) and went to Fengtianfu in Manchukuo. Today this city is known as Shenyang and it is in China but in 1944 when Ree went there it was, like Korea, under Japanese rule. In Fengtianfu, Ree worked as a supervisor for an aircraft company but he was not there for long since major changes came about following the defeat of Japan at the end of World War II with an occupying Soviet force arriving in August 1945 following the surrender of Japan. Ree returned to his home town of Hamhung in Korea just before the Japanese surrender. Soon there were dramatic changes in his homeland with Korea being divided by the 38th parallel into a Soviet administered north and a United States administered south. On the defeat of Japan, Keijo Imperial University had been renamed Kyongsong University, then on 22 August 1946 it became part of the new Seoul National University which was formed from the merger of ten higher education institutions. In early 1947 Ree began teaching at Seoul National University as an assistant professor. Later that year, in Namdaemun Market a large traditional market near the southern gate of the city of Seoul, Ree found the current issue of the Bulletin of the American Mathematical Society which had been left there unintentionally by some American soldiers. In the Bulletin Ree found the paper Note on power series by Max Zorn in which Zorn solved a problem originally posed by Salomon Bochner about the convergence of certain power series with complex coefficients. In the paper Zorn posed the question of whether the same result held for power series with real coefficients. Ree managed to solve the problem and sent his solution to Max Zorn. When Zorn received Ree's solution he was impressed and sent it to the Bulletin of the American Mathematical Society. It was published in 1949 with the title On a problem of Max A Zorn and became the first mathematical paper published by a Korean in an international journal. Strangely, the 1947 paper by Zorn was the last paper he published for, despite still being a young man who carried on doing mathematics for another 45 years, he gave up publishing at this point in his career. One might imagine that Ree would be overjoyed to have his first paper published in a prestigious journal but he did not realise that the paper had been published for over five years after he sent his solution to Zorn. On 25 June 1950 his life was totally disrupted when the North Korean army invaded the South. Both armies had provoked the other in the preceding months with raids across the 38th parallel. However, the invasion by the North Korean army saw soldiers rapidly pushing south and, on 27 June 1950, officials from Seoul were evacuated. Ree fled to Pusan, in the south east of the Korean peninsular and, by September 1950, only Pusan was in the hands of the United Nations which had come to the aid of the South. In 1953 Ree was awarded a Canadian Scholarship to allow him to study for a Ph.D. at the University of British Columbia in Canada. There he worked with Stephen Arthur Jennings as his thesis advisor and was awarded his doctorate for his thesis Witt Algebras presented to the Faculty of Graduate Studies of the University of British Columbia in May 1955. He had been much helped by attending the Summer Research Institute of the the Canadian Mathematical Congress during the summer of 1954, a visit which had been funded by a grant from the Congress. Results from his thesis were published in the paper On generalized Witt algebras (1956). However, he had already published a number of papers on group theory such as On ordered, finitely generated, solvable groups (1954), (with Robert J Wisner) A note on torsion-free nil groups (1956), and The existence of outer automorphisms of some groups (1956). He also published On projective geometry over full matrix rings (1955). Following the award of his doctorate, Ree was appointed as a lecturer at Montana State University. We have painted a very positive picture of Ree's work in Canada, but he had some hard times getting the right to work. When the time came to extend his visa at the Consulate, his passport was confiscated and he was declared a stateless person. In the summer of 1955 Ree received a grant from the National Research Council of Canada and he worked with Jennings on Lie algebras. They published their joint work in On a family of Lie algebras of characteristic p (1957). Eventually, with considerable difficulty, his passport problems were satisfactorily sorted out and he continued to work at the University of British Columbia. Note that when he visited Columbia University in New York between September 1959 and June 1960 he was still listed as a visiting foreign mathematician from Korea. 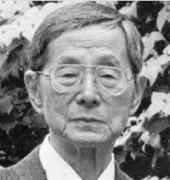 Michio Suzuki [in 'A new type of simple groups of finite order' (1960)], while in the process of classifying a certain type of doubly transitive permutation groups, discovered another new infinite family. Analyzing the Suzuki groups, Rimhak Ree noticed that when interpreted from a Lie-theoretical point of view, they were closely related to a certain family of Chevalley groups. He then showed that the method of Steinberg could be used to construct the Suzuki groups. This in turn led him to investigate two other similar situations and eventually discover his two families of simple groups. The Suzuki and Ree groups together with those of Chevalley and Steinberg are collectively referred to as the simple groups of Lie type. The late Dr Prof Rimhak Ree was a world authority in group theory who originated the so called 'Ree Group' in 1960s. His achievements of research in some 29 simple groups including the two found in 1960s made him a gigantic figure in world mathematic circles and remain as important accomplishments in the world history of mathematics. His fame is proved by the fact that over 90 papers of research on Ree Group were published during the 1984-1994 period. He was selected as one of the world's greatest contributors to group theory research along with Cauchy and Galois. At the age of 40 he was elected as fellow of Royal Society of Canada. He is also famous as a teacher of Langlands [he taught him Galois theory], one of the most famous contemporary mathematicians. He was survived by his wife Rhoda, and sons Ronald, Robert and Richard; and also by two daughters by a previous marriage Erran and Hiran.